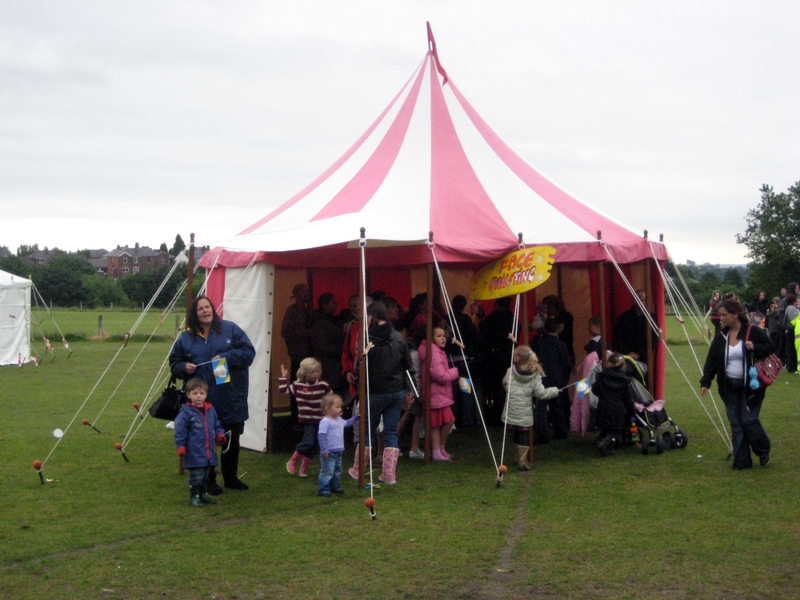 Our large 18ft medieval Jousting Tent would look at home outside Windsor Castle, but just as equally outside any home for a variety of events! 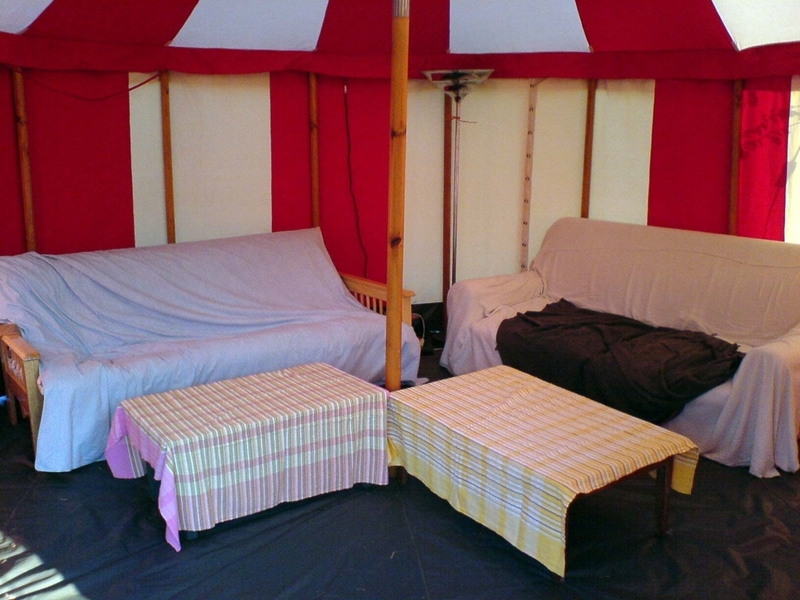 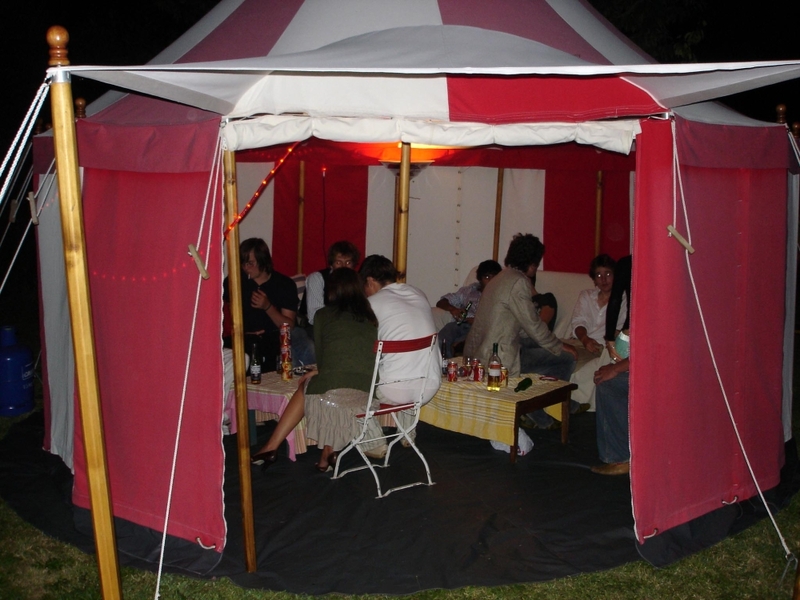 Our Jousting Tent is ideal for dinner parties, bars and ‘chill out’ rooms for larger parties. Without walls the Jousting Tent a provides quintessential Summer venue! 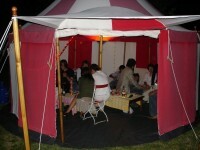 The bold red and white canvas and porch create a jolly atmosphere in a formal setting. 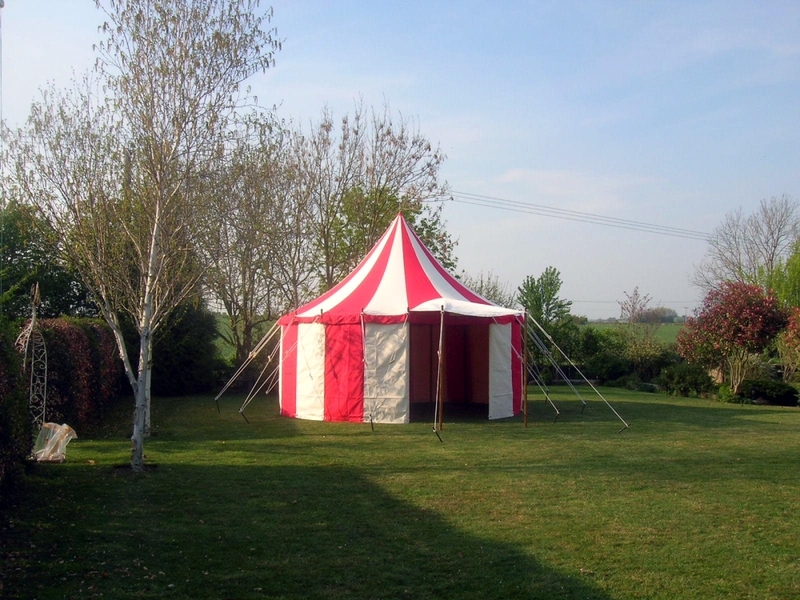 The 18ft Jousting Tent uses a traditional 100% cotton plain-woven canvas which is water and flame resistant to British standards, wooden poles, and is finished to Top Up Tents high standards with hand-carved wooden dollies and a decorative flag! It can also be offered as the Pimms Tent.